There are certain place that draw you in and don’t let you go and and you only notice it years later. Moganshan for me is one of those places. Here is my Moganshan story. Moganshan has been part of my life since 2008. December that year is when I paid my first visit. I was editor of City Weekend and the trip was to review recently-opened naked Retreats. I stayed a couple of nights in one of the renovated farmhouses high up on the mountain. Back then the naked Retreats bungalows still had cast-iron woodburning stoves. I fed wood into mine and huddled near as I drank wine from the small cellar. 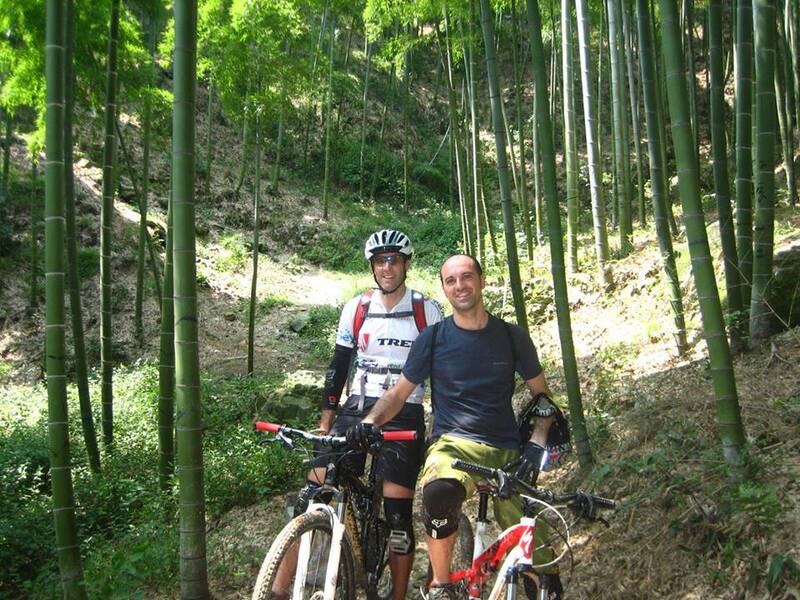 That was also when I was first getting into mountain biking. So I borrowed one of their bikes and beat a path up the mountain. I ended up at The Lodge sitting with Mark Kitto in front of a roaring fire. He asked about the latest Shanghai media gossip and vented at length about the many cruelties inflicted on him over the years. Everything to him was a vast disappointment. Then he handed me a map of the area and pointed out the best biking routes. I found my way to a muddy fire road which wound endlessly into the mountains. Cold and worried I would get lost, I turned back, regained the road and pointed myself down the mountain, stopping several time to warm freezing hands. Good thing too because wo thirds of the way down I caught a flat. naked sent a van to pick up me and the bike. That was the end of my first Moganshan experience. Moganshan truly began for me in the spring of 2010 when A Yuan opened Prodigy Outdoor Base in Houwu village at the foot of Moganshan. Some friends and I went for the opening weekend – Qingming Festival and the weather was still chilly. I brought my own mountain bike this time and explored the rails around Houwu, finding a hidden waterfall and a graveyard. I was hooked. 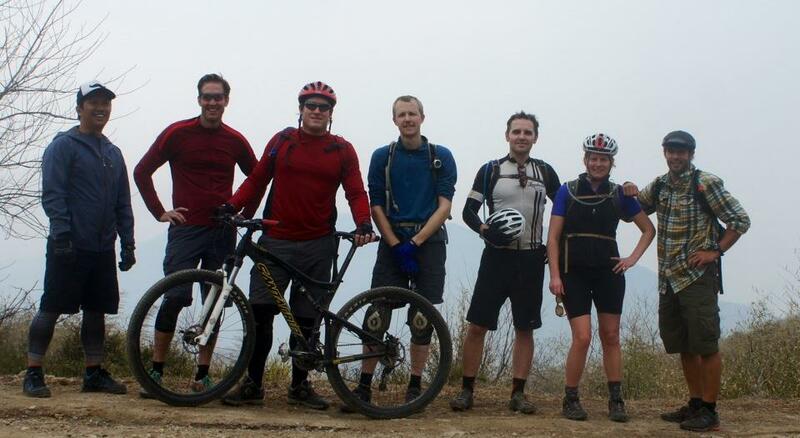 Several months later I took the first of what would become many Moganshan mountain biking weekend trips. This was with the Specialized bike club which was back then run by a French guy named Thomas. We again stayed in Houwu at a nongjiale with the optimistic name Shangri-la. All the other people on the trip were bridge builders from California, salt of the earth types who lived in isolation in Pudong and knew nothing of China. They were here to build the new Bay Bridge and nothing more. It poured down rain and we were soaked to the bone by the time we finished the first climb which, I was happy to see, turned out to be the exact same fire road I’d ridden in 2008. On the first downhill run someone took a spill, cutting a huge gash in his arm. Thomas was the only other person who spoke Chinese so it fell to me to get the guy down the mountain and to a doctor to get it cleaned and stitched up. Nobody in the local clinics would touch it so we had to go to the big hospital in Deqing. So ended that trip. Over the next 3 years, though, I would go to Moganshan many times, first with Specialized and later with the groups that followed it. We always stayed in Houwu, sometimes Prodigy, sometimes Shangri-la or one of the other nongjiale which were starting to pop up. We would leave Shanghai after work on Friday night lashing our bikes to the top of the van behind the Specialized shop on Jianguo Lu, arriving in Houwu around 11pm with time for a few beers before bed. Saturday we rode and then on Sunday, after a big lunch, we headed back to Shanghai, exhausted in the best possible way. The cast of characters changed over the years as people came and went. That’s always the worst part of expat life. There was Thomas then Tuan from Montreal then Glenn who converted me to Santa Cruz. There was Jonathan who like me had only recently taken up mountain biking, then Adam who knew an incredible amount about bikes and cars. There was Hector and Giugiu and Demis the Italian and all sorts of people whose names I have forgotten. Tori of course was a constant fixture down there as well. Those were the golden years. One of the best times I ever had was Mid-Autumn Festival 2012. It was a small group, just me, Glenn, Jonathan, Demis and Tuan. The weather was perfect. The trails were bone dry, the weather was cool, the sky a brilliant blue. We all had great runs. We stayed at Prodigy and scarfed down 7 or 8 of their legendary wood-fired pizzas and drank countless bottles of ice cold Moganshan beer while sitting on the terrace as the sun went down. The colors that weekend were brilliant – crisp and beautiful. I named them one by one. We put on jumpers and had the mountain all to ourselves. Houwu changed a lot over the years. Everyone started opening nongjiale, some fancier than others. 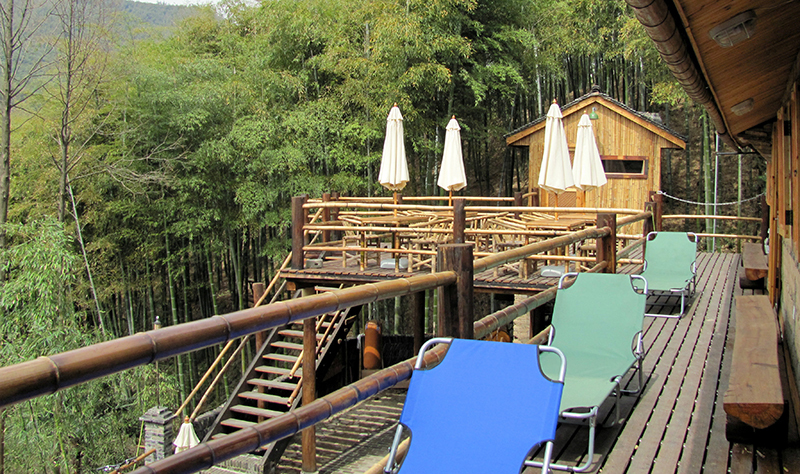 Wang Ayi’s Bamboo View was one of our favorites. We ended up staying there a lot until The Korean Place opened next door. The Korean Place was renovated from a local farmhouse – naked Retreats, but not as expensive. It had the rustic charm that westerners are constantly searching for, as well as a fine stock of beer and wine. There was no one at the front desk, you just signed in the book whatever you drank and the bill was tallied at the end. It wasn’t long before large tour buses were seen in the parking lot just outside the village. And with the tourists came prosperity and problems. Land ownership in China has always been a prickly issue, moreso when you’re talking shared natural resources like the reservoir not far from Houwu where we often took a plunge after a hard day on the bikes. One weekend, towards the end of my Houwu days, a fence went up around the reservoir and we had a terrible row with an old lady who tried to charge us a fee to swim there. It was a small thing, really, that was subsequently cleared up (turns out she was the mother of the Shangri-la owner and there was a beef between nongjiale owners in the village) but it was emblematic of things percolating beneath the surface. Meanwhile on the other side of the mountain, around the same time, naked Stables, opened, Le Passage opened and Moganshan once again started to become a playground for the rich. Just like Houwu changed, our mountain bike group disintegrated. 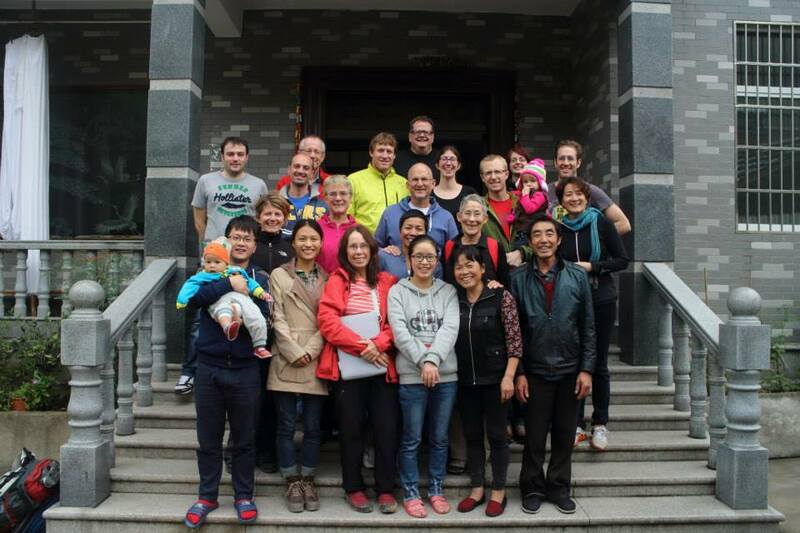 The last big Moganshan weekend was in November 2013 – Adam’s goodbye ride. It also turned out to be the last ride for me as well. In December I took a spill off my bike and landed in the hospital for a week and that was it for the mountain biking. It was a great 4-year run. After that, my wife and I would try to get back to Moganshan at least once a year, usually in the winter. We particularly liked Yinju, a new guesthouse with a wonderful fireplace. I would stoke up a roaring blaze as proof against the cold while drinking wine curled up on the couch – perfect ambiance for writing. After we had our baby even that stopped. But now it’s May 2017 and I find myself drawn back into Moganshan’s orbit, this time as part of the naked team. I joined the company a year ago as it transitioned from being a small company with a great idea to a big company with great ambition. My job is to help them do for their digital footprint what they first did for eco-resorts and then for co-working in China. It also happened to be a year before the opening of their most ambitious project to date – naked Castle. It’s one of the most stunning resorts in Moganshan and, really, all of China – a castle perched on top of a mountain. 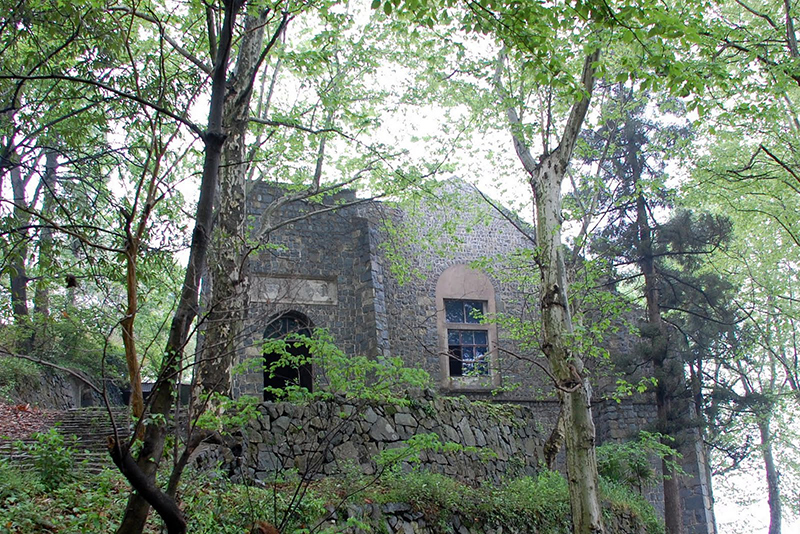 Physical structure aside, it’s nothing less than a resurrection of the glamor of Moganshan in the 1920s with all the promise and baggage and risk that comes along with it. I write this now poised on the edge of the grand opening the centerpiece of which is a proper Scottish ball capped with a fireworks display. 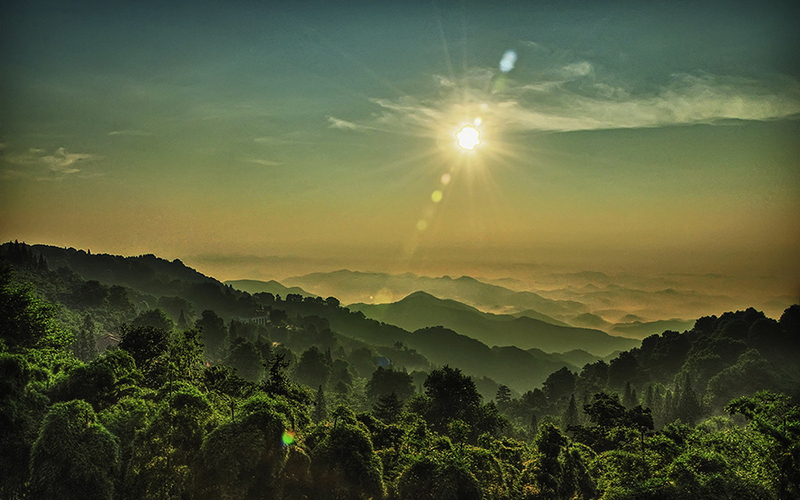 It will see some of Shanghai’s richest and most influential people ascend the mountain. I doubt Moganshan has witnessed an event like this in 80 years. And for now the gods of chance smile on us, delivering 4 days of matchless weather, the exact kind Moganshan is famous for never providing. Yesterday late afternoon I took a break from the preparations and hiked from the Castle to the top of Moganshan. Kitto’s place is still there with the same armchairs we sat in 9 years ago. The fuwuyuan told me I missed Kitto by a couple of months. Whatever anyone tells you, he’s still a regular on the mountain. At the very top I hiked past the rows of silent houses built by foreigners in a fit of belief that stone might somehow make their presence in China more permanent. A few showed signs of life, most still lay dormant. Beyond them I found the remains of a large church, its scarred stone edifice forbidding, the interior empty, hollowed out. Light shone weakly through chinks in the roof giving the place a mournful air. Some workers told me it was going to be renovated into a tourist attraction. Moganshan keeps swerving back into my China life in unexpected ways. I don’t think there will be any castle or stone house or plaque to remark my time here, just a few memories scattered over space. Regardless, Moganshan is a place that’s always been good to me. This entry was posted in Places by whiteconfucius. Bookmark the permalink.